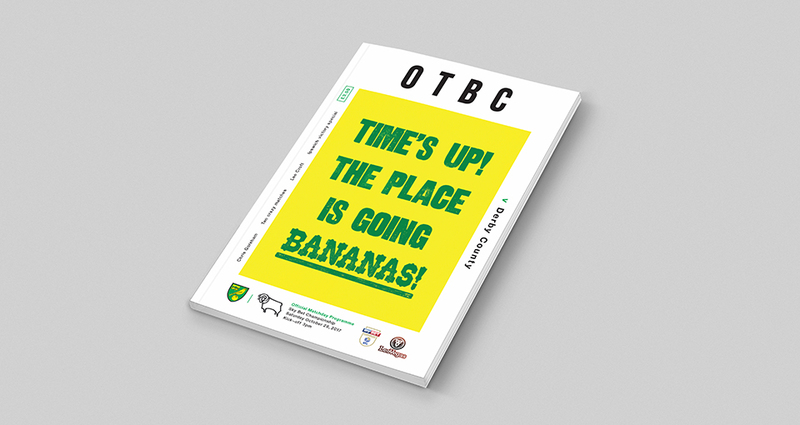 This memorable quote has been celebrated on our matchday programme cover for this seasons encounter between The Canaries and The Rams. Norwich based printmaker Paul McNeill has combined his letterpress and screen printing skills to create a typographic piece of artwork, paying tribute to that unforgettable moment 6 years ago. 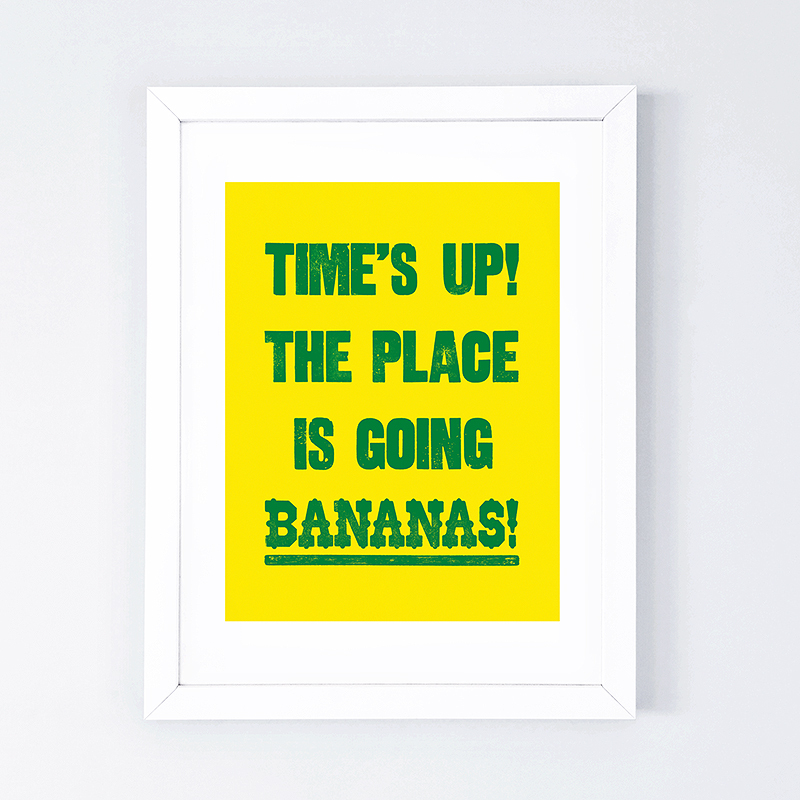 "My work is often typographical and I try to include some humour in there. This piece for Norwich City was created using antique wooden letterpress. The main font is a sans extra bold condensed and the ‘bananas’ font is a decorative type sometimes called Cooktent – it came from a collection in Gorleston that was donated to the museum. 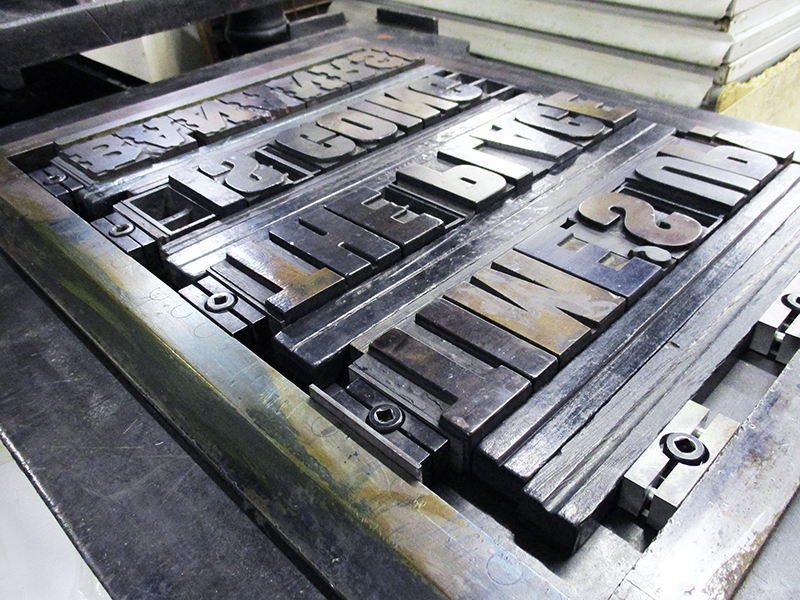 The type was locked up into a chase, to hold the letters in place, then printed on an 1840 Albion press. The letters were coated with an oil based ink and then pressed against paper, with each print being hand pulled."